Road: Tobias Lahiri is on the verge of completing their first Italian Grand Tour. Here he answers questions about the horrible weather, equipment choices and future plans. Tobias Lahiri has been something of a revelation for us blue-yellow cykelfans. A strong complete ninth Giro stage was rewarded with a fourth place as so close could have been much more. On Thursday’s 20-kilometer and brutal mountain tempo he was the best-placed Argos Shimano-cyclist. The future seems undeniably bright for the 24-year-old Huskvarna-son. With only two stages away from his first completed Italian Grand Tour under his belt, we were naturally curious about Tobias’s thoughts on race and its participation. Hi Tobias! We have been following you in the Giro and are impressed by your progress in recent weeks. Hi, yes what fun to hear and thank you very much! In General, how has it been to participate in your first Grand Tour? Of course, this was my biggest goal in preseason, to participate in the Giro d’Italia with the big guys. I am so happy that I got the chance and show that I can ride on this level too! And the best part has clearly been for me when I was 4th in Florence. Very fun to pick that particular stage where the WORLD CUP will go, so it’s a special feeling afterwards. Has the team performed as intended? We have done more than what everyone expected from my page, with a stage victory from John Degenkolb, my 4th and Luca Mezgec 3 x 3, so it cannot be better. In what ways can you tell it is in Italy that the race will take place? Very enthusiastic tifosi and fans? It’s something special to run the Giro I feel, with all the fans around. Them have a special love for the contest feels like. Do you think it was sad that some of the really big, classic mountain passes were cancelled? Was it the right decision by the race Committee? How do you think that Thursday’s mountain stage went? How are attacking man such a time trial? Some special equipment options, such as lighter wheels? Yesterday (Thursday 23/5) was the mountain pace and I felt a little flexible from a swollen muscle in the calf, but once I started and was on the track, it was a wonderful feeling. I went in my pace and I know I’m running better in long rising gradients than short. The Hill was not too steep but I still chose to drive (Shimano) c35 wheel that is relatively light and even normal helmet and of course Shimano DI2 group that goes totally awesome good. Do you have any special procedures when you participate in such a grueling bicycle race Giro is? What will you take with you from the competition? During the night, so of course tries to sleep with closed Windows, if it is not too hot, but otherwise you should just follow their routines and try to do the same things before each stage. But this has really been three valuable weeks for me, I have learned a lot from being in the offshoots and sit in the peloton and watch the big names. How does your calendar out of the future? What race is scheduled? After the Giro, it gets a little quiet any day without cycling. Then it’s time to start training again and run the ZLM Tour in Netherlands on 11 to 16th June. After this follows of course, SM, and then we’ll see, but the WORLD CUP is obviously a milestone for me. And finally, what race you must run before you one day end his career? 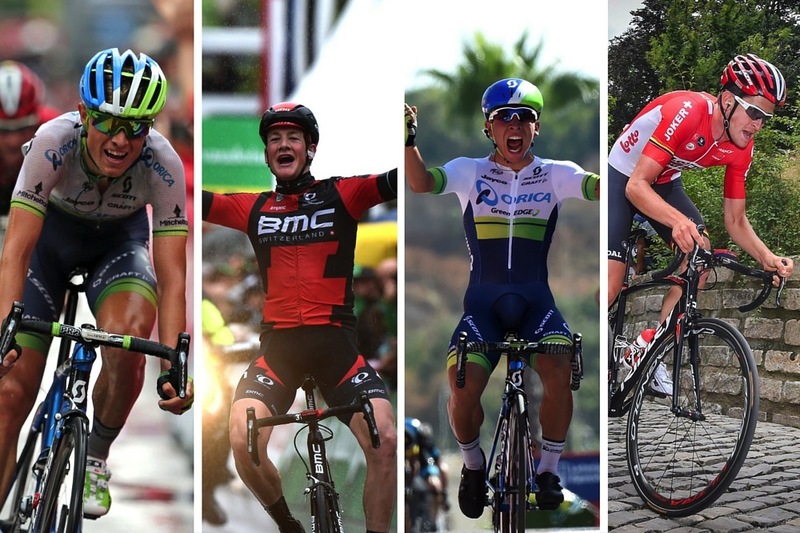 In the future, I would really be a GC-racers (General Classification riders for the abstract) for the big stage races/Grand Tour, and hope to get developed all the time. Before his career is over, I would have run all the big races from Paris-Roubaix for the Tour de France.